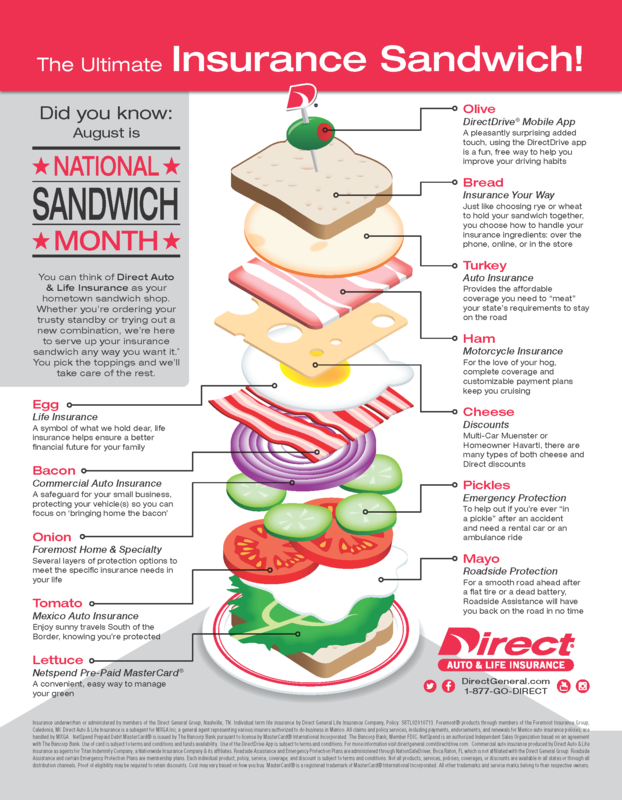 Did you know August is National Sandwich Month? You can’t go wrong celebrating the occasion with one of these delicious sandwich recipes, but you might also try your hand at crafting a different kind of sandwich: The Ultimate Insurance Sandwich, served up by Direct Auto & Life Insurance any way you want it. How will you have yours? All that sandwich talk got you feeling hungry? Give one of these great recipes a spin, like the Fried Green Tomato sandwich or even the Crunchy Fried PB&J!